Learn the holistic way to heal with Crystals for Beginners. Do you want to learn the healing power of crystals but don’t know where or how to begin? If so, then Crystals for Beginners is the audiobook for which you've been looking! 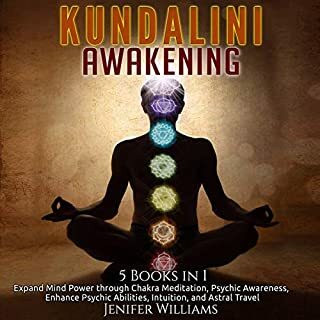 This audiobook will change your life, and you will discover natural cures that will heal your mind and body from negative energies. Now is the time to make a change and live a happier life! Get your copy of Crystals for Beginners today! Learning about Crystals and their Healing Powers! I am so happy that I came across this book. I have been toying with the idea of learning about crystals and their powers and I came across this book. It has cleared up a lot of things for me and now I am 100% sure that I want to start buying crystals and using their magical powers. This is an excellent resource for someone like myself who is very new to the world of crystals. Moreover, I hope that it would help me understand things better and it has been spot on. A great beginners guide! Thank you so much Crystal Lee for this very informative audiobook! A wonderful addition to my book collection. This audiobook is just beautiful and it has such an overall pleasing aesthetic. 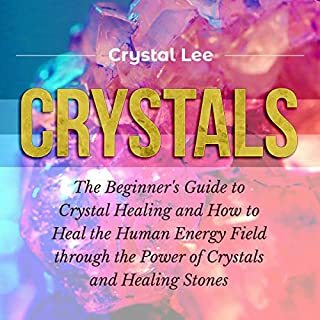 Crystal healing is very interesting, and what it can do for people, and what I like most about this book is that it not only educates you about crystals but it also helps you understand how to use them for healing purposes. I am very happy with my purchase, thank you! A wonderful resource for beginners! I like the simplicity of the contents of this book. It is well-organized and easy to use. I especially like the affirmations! I absolutely loved the idea of this audiobook. It’s super beginner friendly as she explains every step on how to prepare and use them. This book is packed with useful and helpful information about the power of crystals as well as with the healing stones. If you’re just starting out this is a wonderful resource for you! 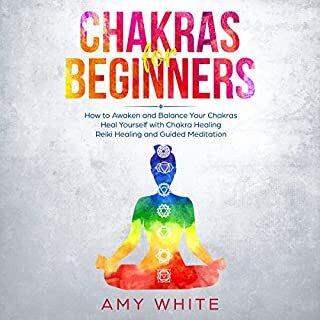 This book is perfect for referencing and sticking in my purse; I’ve learned a lot about chakras, healing stones, cleaning them, charging them, meditation, aid in specific ailments such as depression, exhaustion, grief, joint pain, stress, and more! 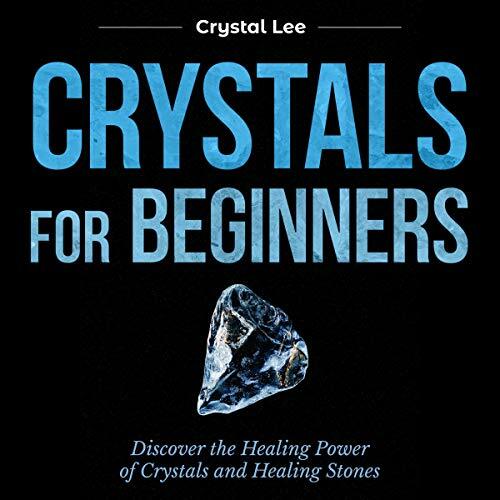 It is a great book to expand your knowledge of the basics of crystal use for healing. Very easy to follow and understand. I love this book. I’m not into hocus pocus by any means but the positive affirmations in this book have changed my life. It’s also very educational and since I like crystals and stones it was fun learning about their properties. I really enjoyed listening to this audiobook and also I have discovered a lot about crystals and its healing powers. Simple and easy to understand, it is great for referencing when you need a stone for a specific purpose. I use it regularly and learned quite a bit more about the basics of using crystals to heal. This book is very pretty and organize in sections about different emotions and situations that you can mediate and heal with crystals. Provides information that will benefits every listener or reader! Would definitely recommend this to anyone! This audiobook is an excellent reference guide to crystals, as well as remedies for mind, heart, and soul! I love that idea! The affirmations written in this book help with healing whatever you are feeling emotionally. 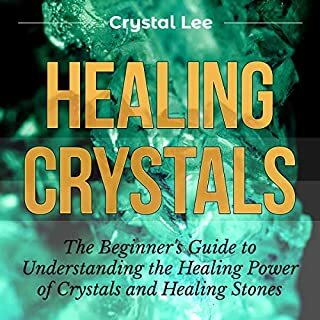 It's beautifully written and narrated; this is a great, pretty thorough guide to crystals for beginners. I really recommend it. So grateful to have come across this. There's tons of information which is all very organized and understandable. 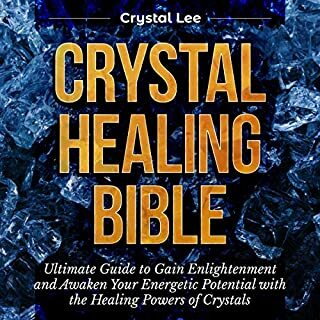 This is my first crystal book and the author has done an amazing job relaying information on many, many common crystals, their healing properties, their corresponding chakras, and many more. This book is a great resource for the beginner to more knowledgeable. It describes many crystals and how they can be used. I've started to get into crystals and honestly didn't know much about them. I absolutely adore this audiobook, it's well written and easy to navigate. I found this very helpful and use it as a reference a lot when I am buying crystals as gifts for friends. 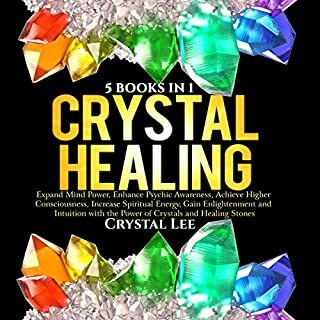 I think this book would be great for people just starting out with crystal healing as well as people who are more experienced. It's a great reference book to have because if you ever wonder something about crystals odds are the answer is in this book. So, if you're interested in learning more about using crystals I would absolutely recommend this book!